The Public Library System in Illinois can be linked directed to The Chicago Fire of 1871. After the fire, the people of England gathered together and sent Chicago over 8,000 books to replace the ones that they assumed were lost in the fire. Oddly enough, there was no library system at all in Chicago before the fire. 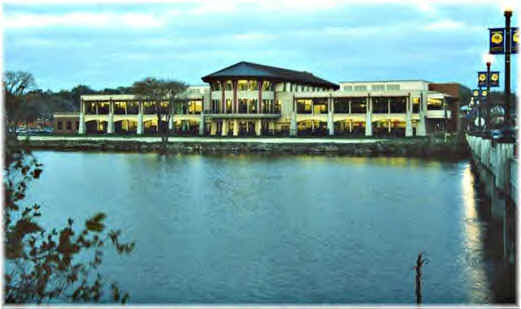 The Gail Borden Library is the first library in The Fox Valley and one of the first libraries in the State of Illinois. Originally called, simply, The Free Public Library, the doors opened on March 19, 1874 and could be utilized by land owners or tax payers of Elgin. The library occupied the third floor of The Home Bank Building in Fountain Square and included 2,000 books. By September of 1893, the inventory swelled to almost 14,000 books and space was becoming an issue. Several sites were investigated, but the new site was named when Alfred and Samuel Church donated the Scofield property shown above. Being stepsons of Gail Borden, they stipulated that the library must be named after Borden, the inventor of the condensed milk process. Today, The Gail Borden Library resides at 270 N. Grove Ave in Elgin. It has developed into a community center and includes over a half million books in its overall inventory. It is a two-story building that is adorned in warm buff and terra cotta-colored stone and looks out over (or can be seen from) the Fox River. More information about the library is available at The Gail Borden Web Site.